We are less than two months away from the 2018 World Series of Poker. While many around the world are making final preparations for this event, the other casinos in Las Vegas are also preparing for the influx of poker-loving visitors to the city with their own series that will run in concurrence with the events at the Rio. Several casinos hold lower buy-in events during the same time as the World Series of Poker and offer players an excellent opportunity to grow their bankrolls, earn buy-ins for the WSOP, or even serve as another place to play after they bust out of that day’s bracelet event. Notably, Kenny Hallaert posts the full schedule of such tournaments each summer. If you’re heading to Las Vegas this summer, here are five reasons why you should consider playing in the non-WSOP events around Las Vegas. 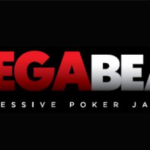 Let’s assume you’re planning on going to Las Vegas for a week or two and only have $2,000 to play in events. You might be able to play in two bracelet events max. Your other option would be to take that money and play in smaller tournaments around Las Vegas. Depending on the venue, you can enter some events for as little as $100. The core schedule at most venues outside the Rio consists of events ranging from buy-ins of $100 up to $600. 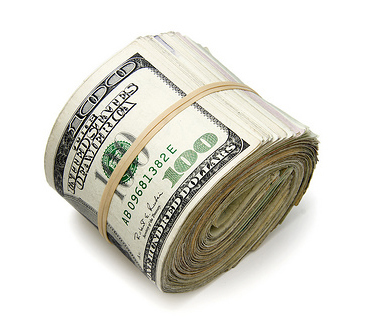 This allows you to really stretch your bankroll and play in more events. If you do well, you could perhaps parlay your winnings into a bracelet buy-in. You can also split up your play. Enter a $1,000 buy-in event at the WSOP and take the other $1,000 and play in other events around the city. This is the “best of both worlds” option. You get the WSOP experience while being able to afford to play in other events. The more you play, the more chances you give yourself to win. The great thing about the World Series of Poker is that they spread poker variants that you don’t very often in other venues. These events attract specialists, mixed-game enthusiasts, and anyone wanting to play something other than NL Hold’em every day. Casino organizers across Las Vegas recognized this as an opportunity and some venues run lower buy-in variants of WSOP events as part of their schedule. Events at other venues are a great way to practice for upcoming WSOP events. For example, Planet Hollywood is offering a $300 buy-in Dealer’s Choice event the day before the $1,500 Dealers Choice at the World Series of Poker. Most often, you will find a low buy-in version of a WSOP event one to two days prior the WSOP version of the event. From there, you can look over the structure sheets to determine which are worth your time. When I first started playing live poker in Las Vegas in 2006, I was surprised at the number of pro players who were playing in the smaller events around Las Vegas. 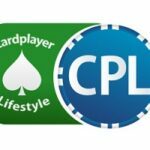 While you probably won’t run into any celebrity pros like Daniel Negreanu, Phil Ivey, or Fedor Holz, you may often find yourself playing against old-school pros, Poker Hall of Famers, and other well-known pros that you may have seen on TV throughout the years. One of my most memorable tables just for star power was in a small $210 Stud 8 Event a few years back. Barbara Enright, Linda Johnson, Susie Isaacs, Marsha Waggoner, and Robert Turner were all at the table. If you’re looking to meet and play against top caliber competition without breaking your bankroll, these smaller events are perfect. Mixed games events are my favorite events to play due to the percentage of old-school pros you’ll find in the field. Sometimes the stories you hear during the events are worth much more than the price of admission. 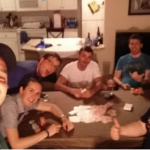 Many serious poker players will admit that the non-WSOP series around Las Vegas during the summer present excellent ways to build or supplement your bankroll. While the prize money pales in comparison to what’s offered at the Rio, you can still score five-figure wins on a consistent basis. Who couldn’t use an extra $25k, $50k or more in their bankroll? Considering that the average field strength will be softer than that at the Rio (massive field events excluded), you’ll have a much better chance of making the final table and winning roll-building money in these events than at the WSOP. There are many poker players who go to Las Vegas for the WSOP and never leave the Rio. That’s pretty sad considering the number of poker rooms throughout the city. Plus, the city of Las Vegas itself is pretty darn great! One great thing about going to these different tournament series around the city is that you get to check out different casinos and different parts of Las Vegas that non-poker tourists enjoy, too. 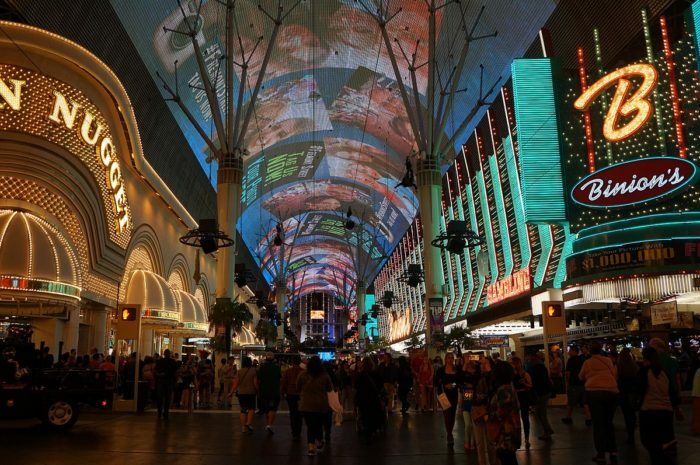 Indeed, the multitude of offerings is something that sets Las Vegas apart from other “casino destinations” that don’t have nearly the same impact on the gaming industry. Personally, I absolutely loved playing and later staying in Downtown Vegas. Maybe I am a bit old school, but I felt more at home playing at Binions and the Golden Nugget than I ever did at the Rio. I also enjoyed The Orleans; yes, even the $4/$8 Omaha Hi-Lo game known for having some of the grouchiest players on the planet. You get to play in different poker rooms, meet new people, try out new casinos, and enjoy more of Las Vegas than just the “WSOP Experience.” For me, my fondest memories of summers in Vegas are at the events outside the Rio. While the World Series of Poker is the ultimate goal for many poker players, it is not the only game in town. The next time you’re out in Vegas during the summer, consider playing at some of these events. You may find that they are much more your speed than the massive, better known events at the Rio. 2012 World Series of Poker Starts This Month!